1RU & 4RU Card The ATV-220 PROBE is similar to the flagship VB220 controller blade for all applications in any network where digital video is carried across an IP infrastructure. 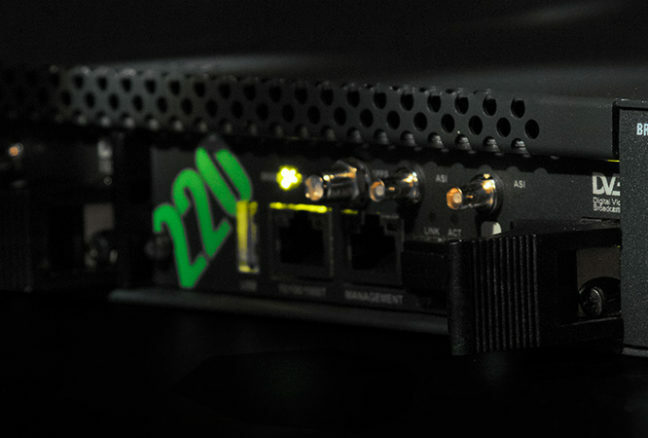 Built with a form factor for deployment in Appear TV´s range of chassis, the ATV-220 provides an unique capability of reducing the infrastructure needs in any HeadEnd or remote location. Available for Appear TV’s 4RU and 1RU chassis (XC-Series), the ATV-220 offers a highly-developed efficient solution for digital media monitoring either as part of a complete monitoring system, or when used with third-party network management systems. Embodying a range of market-leading technologies the ATV-220 gives engineers a complete and detailed view into the data stream. 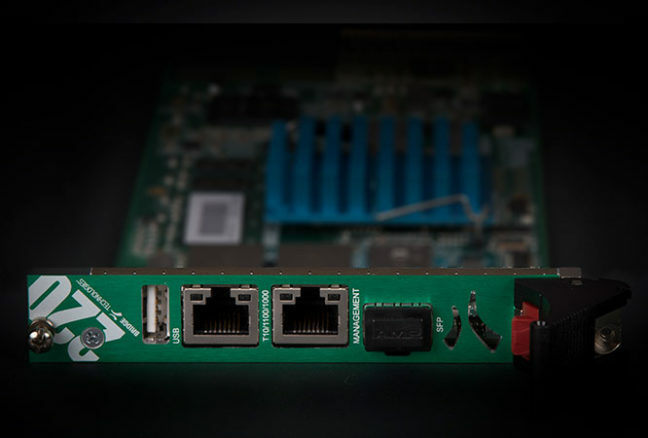 “Accurate and timely monitoring information is essential for any digital media operation, so a form factor that makes it easy to integrate Bridge Technologies probes into our installations is very welcome,” said Carl Walter Holst, CEO of Appear TV. The ATV-220 can, as the standard VB220, be specified to order with all the options available in the comprehensive Bridge Technologies product line such as: up to 8 advanced ETR290 engines for detailed analysis and Gold TS Protection for media streams; up to 5 OTT engines for analysis and continuous monitoring of manifest and playlist syntax, DVB-T2MI parsing and alarming; optional second GigaBit interface and full SCTE-35 signaling analysis. All these options in addition to the standard features of 260 streams monitoring, the built-in Eii (External integration interface), and the award winning web GUI of the device. The ability to monitor continuously 260 streams makes the ATV-220 blade a powerful tool. With full support for both the MPEG-2 TS and RTP encapsulation standards carrying all modern coding formats, the ATV-220 is perfect for network core or regional site use. This can be an invaluable remote helpmate for any network engineer attempting multicast detection on multiple VLANs or in the process of IGMP tracking. Fault finding in complex IP based broadcast networks just got a lot easier. The monitoring of critical parameters such as loss distance measurements and detailed jitter values will give operators invaluable and precise feedback of network performance. With the patented MediaWindow™ historical data can be easily accessed for meaningful visualisation of media flow in IP systems. Whether establishing or modifying service settings on complex routers and switches, the ATV-220 facilitates the whole process. The ATV-220 takes up only one slot in an Appear TV chassis, resulting in a very compact monitoring solution particularly suited for systems that use IP distribution to regional nodes. The ATV-220 monitors IP via it´s optical and electrical 10/100/1000T Ethernet interface for simultaneous monitoring, enabling a unique service comparison mechanism that makes it easy to validate correct local insertion at regional head-ends. SNMP trapping and XML export enable the ATV-220 to be implemented in any NMS system with alarm generation; either directly from the probes themselves, or via the VBC server for advanced alarm correlation and filtering. Each ATV-220 contains the Eii (External Integration Interface) API for seamless and easy integration into any 3rd party system. Each ATV-220 runs a HTTP server with the client as a web browser, so no need to install custom software on computers needing access to the measurement data. Modern web 2.0 techniques such as AJAX are used to facilitate advanced interface behaviour in a standard web browser.